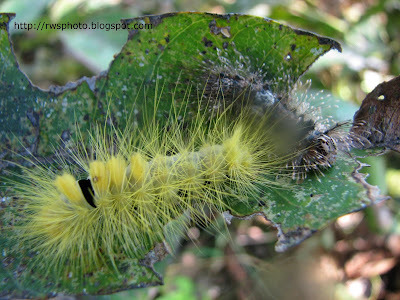 Photo of two tropical caterpillars on a leaves. Left: Yellowish spiky caterpillar. 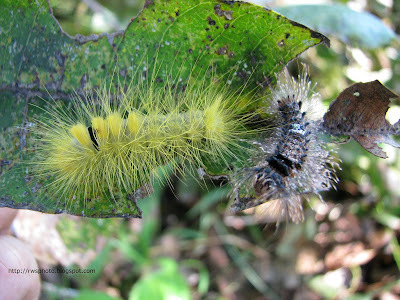 Right: Gray furry caterpillar. Please help to identify the species. Thanks in advance. Exotic photo of green grasshopper or Angle-wing Katydid. The family Tettigoniidae, known in American English as katydids and in British English as bush-crickets, contains more than 6,400 species. 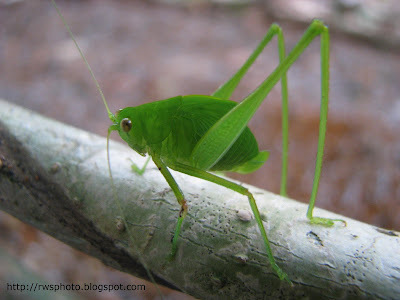 It is part of the suborder Ensifera and the only family in the superfamily Tettigonioidea. They are also known as long-horned grasshoppers, although they are more closely related to crickets than to grasshoppers. Many tettigoniids exhibit mimicry and camouflage, commonly with shapes and colors similar to leaves. Tettigoniids may be distinguished from grasshoppers by the length of their filamentous antennae, which may exceed their own body length, while grasshoppers' antennae are always relatively short and thickened. 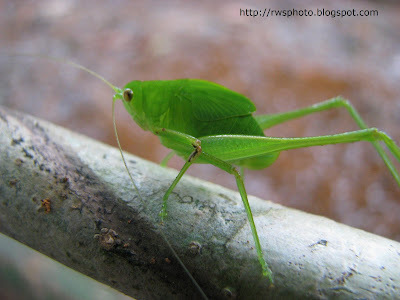 The males of tettigoniids have sound-producing organs (via stridulation) located on the hind angles of their front wings. In some species females are also capable of stridulation.